Did you know CogswellStone carries several lines of quartz? We have Silestone, Caesarstone, PolarStone, Q, Vicostone, Compaq, Cambria to name a few. Come visit our showroom. We are now offering a full line of bluestone, sandstone, landscape stone, boulders, stair treds and steppers. CogswellStone will be closing at 2 p.m. on Thursday, December 22 and will be closed on December 23 and December 26 in observance of the Christmas holidays. Merry Christmas to everyone. From time to time CogswellStone will be announcing one day specials on their Facebook page. There will be one stone selected that will be drastically reduced. It will be sold on a first come first serve basis. Follow us on Facebook if you would like to know about our specials. 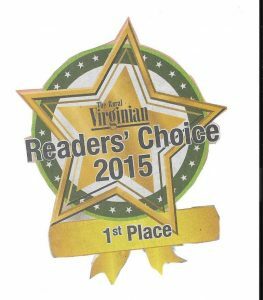 CogswellStone has been awarded the 2015 Reader’s Choice first place award for countertops. How exciting is that? We are definitely thrilled. CogswellStone is now carrying Blue Ridge Soapstone Oil. It is a food grade white mineral oil. It is a perfect finish for your soapstone, slate or wood surfaces. It give your surface a darker, richer and more elegant appearance. It offers a protective surface covering. It is odorless, colorless, tasteless and hygienic . Thank you for a beautiful job - the granite looks wonderful in my kitchen. Very professional team you sent out to my house. I will recommend you to anyone!